Albert Mathias Audio/video artist, has been performing in San Francisco and abroad since 1991. He is a multi-disciplinary musician who creates live composition and recorded sound design for dance, theater, film, video, and Television. He also produces and performs his own solo music under the name StRiCtLy AlBeRt. Mathias is Music Director of la ALTERNATIVA and works independently with choreographers, improvisers, musicians and visual artists. In 2000, he was nominated for an IZZIE Award for Original Sound Score for BLUE 2000, and in 2006, received a BESSIE Award for Bebe Miller’s Landing/Place. He was also featured in Miller’s Necessary Beauty. Mathias was a member of the multi-disciplinary performance group Contraband from 1995-97, and is the drummer/percussionist for LiveHuman, the internationally acclaimed improvisation-based trio with DJ Quest and Jazz upright bassist Andrew Kushin. Albert attended California Institute for the Arts, training in tabla, voice and accompaniment with masters Amiya Dasgupta, John Bergamo and Leonice Shinneman, and has had the honor of private Tabla study with Pandit Swapan Chauduri, Sri Ravi Bellare, and snare drum technique with Tony Williams. 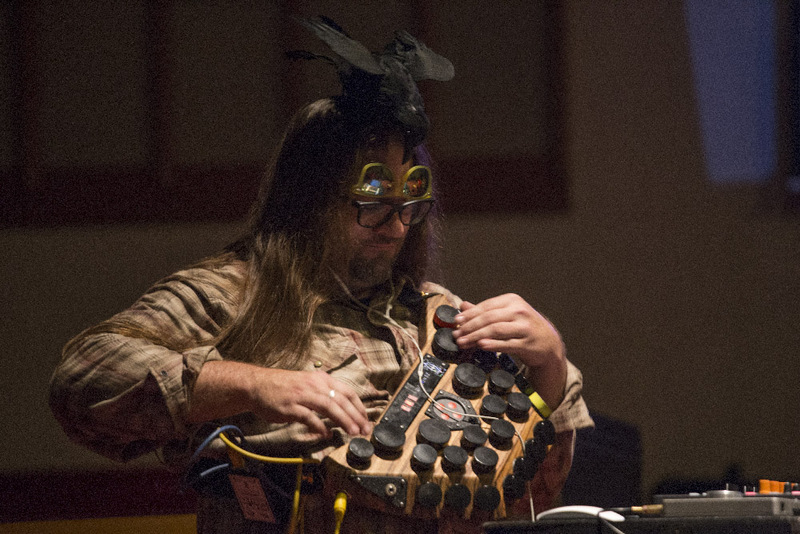 He is currently investing his energies into his mobile solar music studio, creating live sound scores for all types of motion and continues his daily practice, since 1995, as live electronic music accompanist for dance classes in Sf.